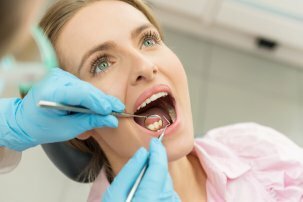 There are many reasons why a tooth may need to be removed. The most common Tooth extractions are of your wisdom teeth, the back four molars which appear in your mid-to-late teen years. Wisdom teeth which have broken through the gums can sometimes be removed through extraction. Impacted teeth, or those still under the tissue, must be removed surgically. Other common reasons for extractions include severely decayed teeth and teeth that have been irreparably broken. Some have very advanced periodontal disease, which sometimes means that more than one tooth must be removed.Young teens sometimes have teeth removed before they begin orthodontic treatment (braces and retainers). Because all your teeth are designed to fit, move, and work together, the removal of teeth can impact their function and your health. Teeth can shift to compensate for the gap, your jaw may move out of place, and you may experience trouble chewing all or certain foods. With this in mind, we evaluate the outcome of tooth removal and work with patients to determine the best next steps to maintain optimal oral health.